Ireland’s citizens could have legal access to medical cannabis as early as mid-April. 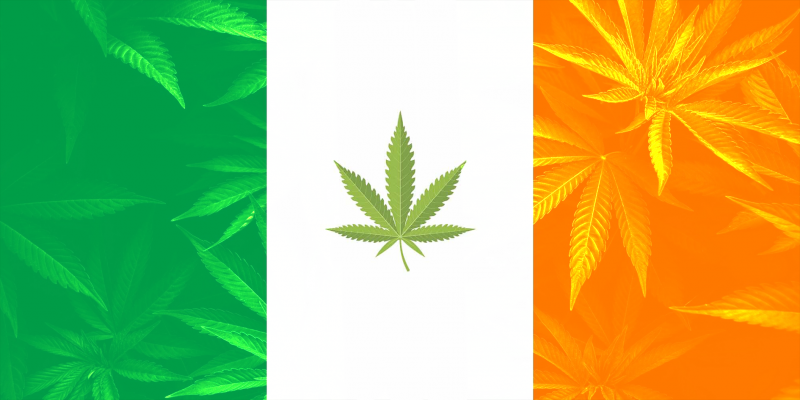 Ireland’s Department of Health confirmed to TheJournal.ie that the Irish Government has finally found an official supplier for medical cannabis, confirming that a licence for the importation of “specified cannabis containing products” has been granted. Ireland’s Government voted to legalise access to medical cannabis over two years ago, but plans for the medical cannabis access programme have been slow to be officially announced. Last week’s announcement that a license was granted to a commercial enterprise in January 2019 was the first step after years of delays. It is now understood that Simon Harris, Ireland’s Health Minister, will bring the proposals to the Cabinet in April. The Government has been blamed for the lengthy delays to the medical cannabis programme after it failed to find a quality assured supplier of medical cannabis products who can legally export those products into Ireland. The supplier of medical cannabis products is believed to be a company based in Denmark after a team of government officials traveled there to review the quality of the operation and its ease of access. It is believed the legislation could be ready in mid-April after the Health Department confirmed that officials are working intensively on finalising the legislation required to underpin the cannabis access programme. In an official statement, the Health Department announced that it is currently “seeking solutions to the supply of appropriate products for Irish patients. Officials have been in regular contact with our counterparts in Denmark, UK, Canada and further afield”. The access programme aims to allow access to cannabis-based therapies for the treatment of patients with multiple sclerosis, those experiencing nausea and vomiting associated with chemotherapy, and those with severe, refractory and treatment-resistant epilepsy. The establishment of the scheme follows on from recommendations from the Health Products Regulatory Authority (HPRA). Following the report, Department of Health officials said they had been working intensively on the issue to ensure a supply of appropriate medical cannabis products from other EU Member States and further afield to meet the needs of Irish patients. Until medicinal cannabis is permitted to be imported to Ireland and until the access programme is up and running, Irish doctors are operating under the current ministerial licensing route, which allows them to prescribe medical cannabis for their patients. As of late last year, licences have been granted for twelve individual patients, the majority of whom are obtaining their medical cannabis from a Dutch pharmacy on foot of their medical prescription. As the delays dragged on, questions mounted on the government about the hold-up. Now the long delay seems to finally be over. Patients waiting for legal access to medical cannabis could finally be granted their wish.